Traveling through JAX? Take Advantage of our Free Wifi. Experiencing Wifi Problems in JAX Airport? If you encounter any problems while trying to access wifi in the JAX Airport, please contact the IBM helpdesk at 866.925.6092. 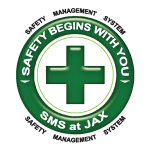 At Jacksonville International Airport (JAX), we’re committed to customer service. That’s why we were one of the first airports in the country to offer free wifi to our passengers. When you fly through JAX, accessing the internet on your laptop, iPad, Blackberry, iPhone, etc., is easy – and free. Turn on your computer or wireless device and log onto the internet just as you normally would. 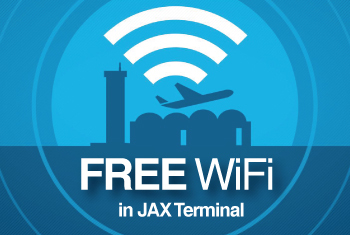 The internet should automatically default to the JAX Airport’s network, which is called, “Free Public Wifi.” Review the terms and conditions of use, click the “OK” button and you’re good to go!